De geest heeft geen vorm, geen kleur en geen substantie. Dit is het lege aspect. Maar de geest kan dingen weten en een oneindige varieteit aan verschijnselen waarnemen. Dit is het heldere aspect. De onscheidbaarheid van deze twee aspecten, leegte en helderheid, is de oorspronkelijke, voortdurende natuur van de geest. Op dit moment wordt de natuurlijke helderheid van je geest verduisterd door misleidingen. Maar als de verduistering optrekt zul je beginnen met het aan het licht brengen van de straling van gewaarzijn, totdat je een punt bereikt waar, net als een door het water getrokken lijn verdwijnt op het moment dat hij gemaakt wordt, je gedachten bevrijd worden op het moment dat ze opkomen. De geest op deze manier te ervaren is het ontmoeten van de eigenlijke bron van Boeddha-schap. Als de natuur van de geest herkent wordt, wordt dat nirvana genoemd ; als zij verduisterd is door misleidingen, wordt dat samsara genoemd. 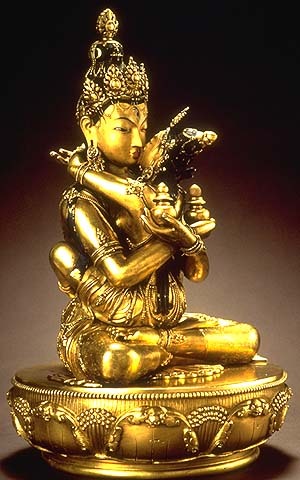 Maar noch samsara noch nirvana zijn ooit gescheiden geweest van het continuum van het absolute. Als gewaarzijn haar grootste omvang bereikt zullen de vestingmuren van misleiding doorbroken worden en kan de citadel van het absolute, voorbij meditatie, nu en voor altijd veroverd worden. 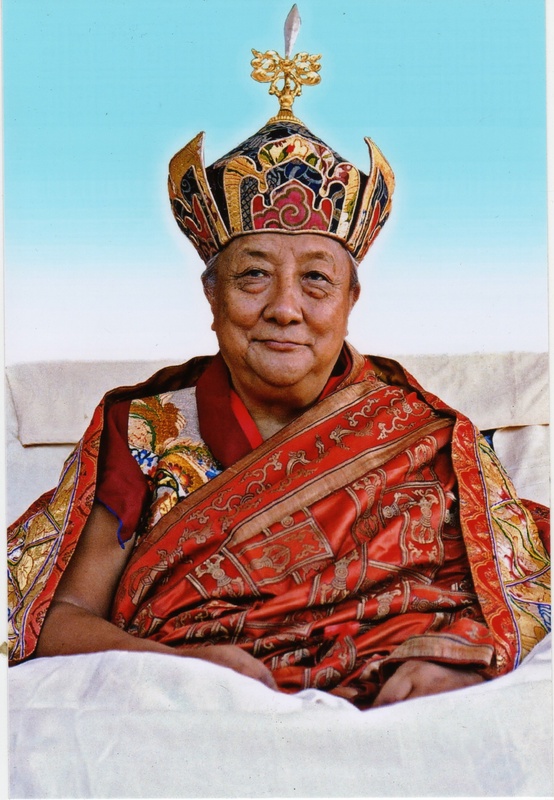 The everyday practice of dzogchen is simply to develop a complete carefree acceptance, an openness to all situations without limit.We should realize openness as the playground of our emotions and relate to people without artificiality, manipulation or strategy. We should experience everything totally, never withdrawing into ourselves as a marmot hides in its hole. This practice releases tremendous energy which is usually constricted by the process of maintaining fixed reference points. Referentiality is the process by which we retreat from the direct experience of everyday life. Being present in the moment may initially trigger fear. But by welcoming the sensation of fear with complete openness, we cut through the barriers created by habitual emotional patterns.When we engage in the practice of discovering space, we should develop the feeling of opening ourselves out completely to the entire universe.We should open ourselves with absolute simplicity and nakedness of mind. This is the powerful and ordinary practice of dropping the mask ofself-protection.We shouldn’t make a division in our meditation between perception and field of perception. We shouldn’t become like a cat watching a mouse.We should realize that the purpose of meditation is not to go “deeply into ourselves” or withdraw from the world. Practice should be free and non-conceptual, unconstrained by introspection and concentration.Vast unoriginated self-luminous wisdom space is the ground of being -the beginning and the end of confusion. The presence of awareness in the primordeal state has no bias toward enlightenment or non-enlightenment. This ground of being which is known as pure ororiginal mind is the source from which all phenomena arise. It is known as the great mother, as the womb of potentiality in which all things arise and dissolve in natural self-perfectedness and absolute spontaneity. All aspects of phenomena are completely clear and lucid. The whole universe is open and unobstructed – everything is mutually interpenetrating.Seeing all things as naked, clear and free from obscurations, there is nothing to attain or realize. The nature of phenomena appears naturally and is naturally present in time-transcending awareness. Everything is naturally perfect just as it is. All phenomena appear in their uniqueness as part of the continually changing pattern. These patterns are vibrant with meaning and significance at every moment; yet there is no significance to attach to such meanings beyond the moment in which they present themselves. This is the dance of the five elememts in which matter is a symbol of energy and energy a symbol of emptiness. We are a symbol of our ownenlightenment. Sincethe undeveloped state does not exist, there is no need to behave in any special way or attempt to attain anything above and beyond what you actually are. There should be no feeling of striving to reach some”amazing goal” or “advanced state.”To strive for such a state is a neurosis which only conditions us and serves to obstruct the free flow of Mind. We should also avoid thinking of ourselves as worthless persons – we are naturally free and unconditioned. We are intrinsically enlightened and lack nothing. When engaging in meditation practice, we should feel it to be as natural as eating, breathing and defecating. It should not become a specialized or formal event, bloated with seriousness and solemnity. We should realize that meditation transcends effort, practice, aims, goals and the duality of liberation and non-liberation. If we find that we are disturbing ourselves in any of these ways, we stop meditating and simply rest or relax for a while. Then we resume our meditation. If we have “interesting experiences” either during or after meditation, we should avoid making anything special of them. To spend time thinking about experiences is simply a distraction and an attempt to become unnatural. These experiences are simply signs of practice and should be regarded as transient events. We should not attempt to reexperience them because to do so only serves to distort the natural spontaneity of mind. The continual stream of new discovery, revelation and inspiration which arises at every moment is the manifestation of our clarity. We should learn to see everyday life as mandala – the luminous fringes of experience which radiate spontaneously from the empty nature of our being. The aspects of our mandala are the day-to-day objects of our life experience moving in the dance or play of the universe. By this symbolism the inner teacher reveals the profound and ultimate significance of being. Therefore we should be natural and spontaneous,accepting and learning from everything. This enables us to see their unic and amusing side of events that usually irritate us. In meditation we can see through the illusion of past, present and future – our experience becomes the continuity of nowness. The past is only an unreliable memory held in the present. The future is only a projection of our present conceptions. The present itself vanishes as soon as we try to grasp it. So why bother with attempting to establish an illusion of solid ground? We should free ourselves from our past memories and preconceptions of meditation. Each moment of meditation is completely unique and full of potentiality. In such moments, we will be incapable of judging our meditation in terms of past experience, dry theory or hollow rhetoric.Simply plunging directly into meditation in the moment now, with ourwhole being, free from hesitation, boredom or excitement, is enlightenment. 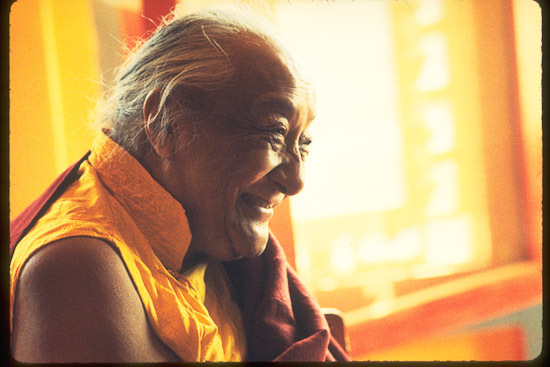 Khyentse Rinpoche: If we had to make a choice between outer pleasure, comfort and peace, and inner freedom and ultimate happiness, we should choose inner peace. If we could find that within, then the outer would take care of itself. Even when we have a comfortable and pleasant life externally, if our inner peace is shattered, or disturbed, we are not able to enjoy all that we have in our outer life. To make that transformation we find, when we think only of ourselves, and hold on to things, consider ourselves and our happiness as the most important thing, that it is the ego and its clinging that disturbs both the outer and the inner happiness. Even if we have a well-organized outer life, it can be very difficult for us to find inner happiness because we can never be satisfied so long as we have not cut the attachments due to ego. There is no end to it. It wants more and more without any limit. The ego is insatiable. So it seems necessary to work on that, to free ourselves from ego, with the help of teachings, especially the Buddha’s teachings on this subject, in which we will find all kinds of ways and means of developing peace both externally and internally. Of course it is the inner that is important, not only for this life but for our lives to come, and not only for ourselves but for others too. 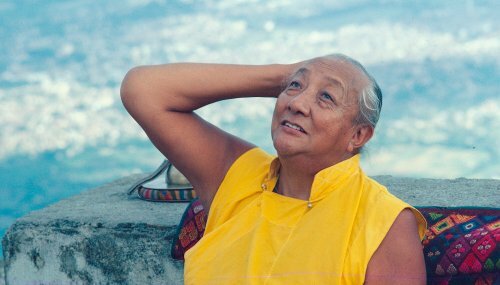 Khyentse Rinpoche: The teachings of Buddha are not just for an immediate result but for a work that may last for many lives to come. The main obstacle in the East, as well as in the West, is that, if we check our habits that relate to our various negative emotions and positive emotions, we see that we habitually have much stronger negative emotions, and that we get distracted by them. So we hold on to our negative emotions very tightly and, especially in the West, many distractions result from that. We may have some interest and desire to practice but somehow we don’t (in the West) really see the importance of such training and how the teaching would help us progress and find lasting happiness and peace and liberation. But if we have a strong sense of what should be our main aim, and make efforts diligently, we can have a result in this present life. 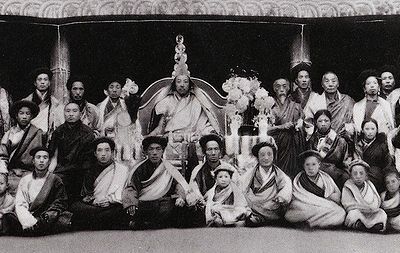 Look at the lives of Milarepa and of the close disciples of Guru Padmasambhava, the great masters of the past. They could put almost 100% of their energy into spiritual training and within their lifetimes they could really see the quality and benefit of such a training unfold. But what happens to us? Even if we are interested and try to practice, it is rare for students to put even 20% of their energy into practice. Their distractions and habits are much stronger than their diligence. This applies not only in the West but also in the East. What happens in the West is that there are many distractions, and even if there is interest, the quality and intensity of practice suffers, and we cannot put all our energy into it. And before even starting practice we already have an idea of the result we are working for and that also spoils everything. Strong expectation without strong diligence is, it seems to me, a major obstacle, and at the same time a major danger for the Buddha dharma. Of course, the outer teachings from all the traditions will remain more or less available, but the inner and most profound the direct transmissions may be virtually lost. We live in a very difficult time, and it will become more difficult to find profound masters and to get in touch with such teachings. His Holiness the Dalai Lama and other great Tibetan masters have been doing their best-whatever they could-but although the external aspect of the teachings will continue, more or less, because there are many young lamas, the transmission that depends on inner realization will become more problematic and difficult, and mayor may not continue. So the main obstacle here, as I see it, is high expectations pursued without sufficient diligence in a setting of many distractions. 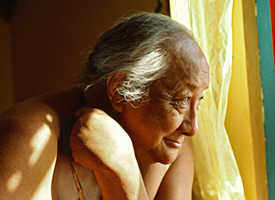 Khyentse Rinpoche: There are general obstacles and hindrances on the path that we find in the East as well as in the West. But in Tibet we had a training that was handed down over many centuries training that has been preserved in an intensive way, so that even though there are obstacles, the interest and wish to go through the training is so strong that somehow students manage to get through it, and even find that the obstacles can serve as a support for progress. 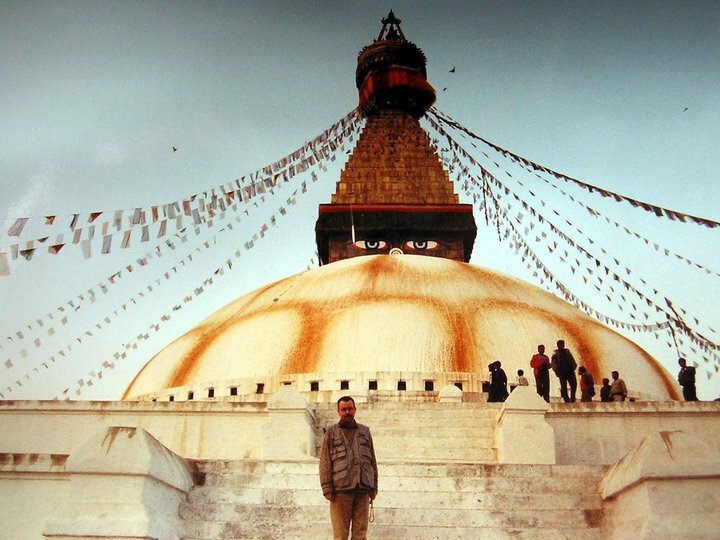 In the West we find similar obstacles which make for blockages and hindrances on the path, and surely more distractions than in our part of Tibet. People know that they must expect obstacles, but they become so involved in them here that it becomes very difficult toovercome them. So there is a difference in the intensity of the problem. Certainly Trungpa Rinpoche’s own work in America was very difficult. Since you were one of his principal teachers, I would be interested to know how you see the way he carried out his mission here. Some of his actions have been judged negatively, and yet he touched tens of thousands of lives, especially among the young. How are we to understand such a teacher and his rather provocative behavior? 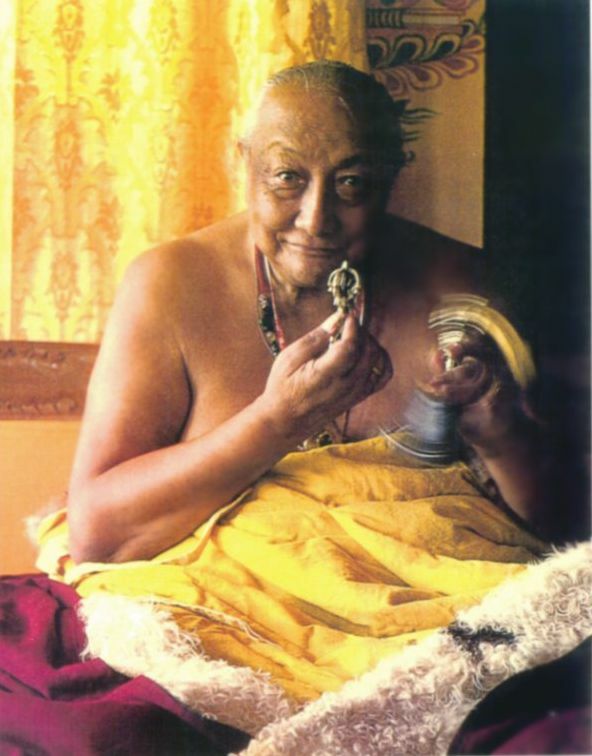 Khyentse Rinpoche: There has not been and will not be any such “self” or substantial entity which clings or is attached to one thing after another. But if you were to ask, “Well, what then is manifesting?” I would say that from the nature of emptiness (sunyata), great compassion manifests just as the sun manifests light. It unfolds by itself no subject and no object. Out of compassion, those enlightened beings and masters manifest in response to the needs of beings who have already made, or are going to make, connections with them. 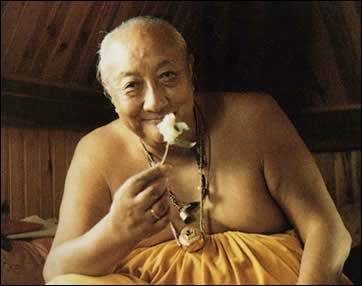 For instance, His Holiness Karmapa is an enlightened being from the first Karmapa, so he does not have to come back . 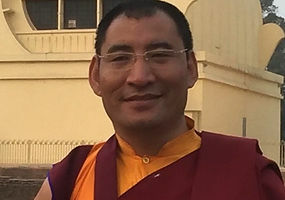 He just comes out of compassion in response to the needs of beings who have, or will have, a connection with him, for their benefit. But, as regards the real nature of the self, one’s experience of awareness, especially at moments when I am more or less empty of thoughts and trying to bring body, speech and mind together (as you have been teaching), then there seems to be something behind it all that is an entity, that is not forever changing. Logically, a doctrine of impermanence means no self can exist, but isn’t that sometimes contradicted by our experience? 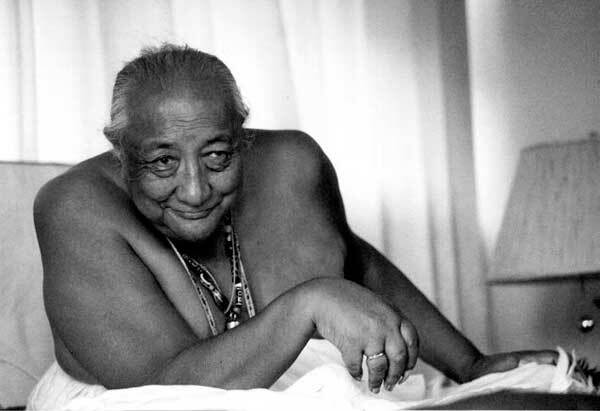 Khyentse Rinpoche: Yes. There is a state which is beyond any concepts or thoughts, and which is inconceivable. Its nature is void and its expression is compassion, and when that great compassion manifests in response to the needs of beings there is at the relative level change and impermanence. But there is a state beyond the very idea of change or permanence. If we could reach that level, in that state we would find the “self” quite different from the idea we have now of, say, atman. The absolute truth is totally beyond any kind of concept and elaboration, such as existing and non existing, permanent and impermanence, and so on. So, in a way, we could speak of a “Great Permanence” as a metaphor to indicate the immutability of the absolute truth but in no way should this be understood as a permanent entity which could be labeled as “self” or atman, as this would again be falling into limiting conditions. It is unnecessary to postulate the existence of a self as the absolute nature is beyond all concepts. Limiting concepts and views, such as eternalism and nihilism, are the very root of delusion.